Sand, shells, rocks, seaweed, quiet tide. On the beach this morning, a soft water wash in all shades of grey. Seabirds calling to a reluctant tide. Footprints in wet sand. Brambles and long ropes of ivy that tumble over the cliff edge. I meet neighbours returning from their morning dog walking exercise. 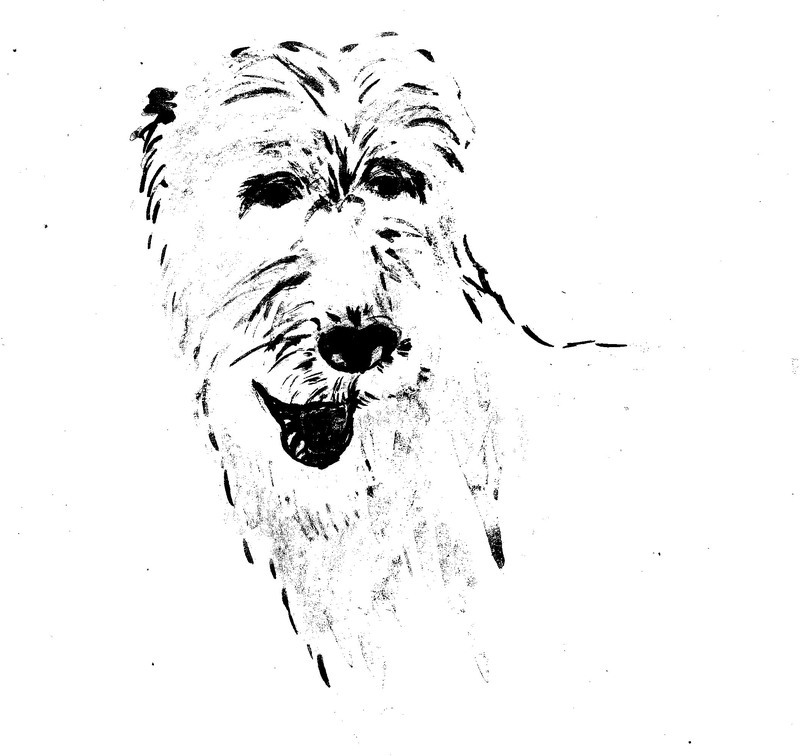 Feargul says my Irish Wolfhound Ruairi, reminds him of an elderly gent on holiday in Nice. Back home again, in the garden, feathery grasses bask in the shelter. Globe thistles outlined against the sky are dying to be photographed, swallows swoon, glide and feast on summer insects. The sound of Ruairi’s panting and the silent presence of clouds that reveal deep blue holes of other worlds beyond.